Add yeast and water to bowl of electric mixer. Mix until combined. Add sugar and let stand for 5 minutes or until mixture begins to foam. Turn dough out onto floured board. Divide into 12 pieces for sliders or 6 pieces for regular sized buns. Roll each piece into ball. Place on sheets, 3 inches apart. Cover sheets with towel or lightly greased plastic wrap. Let rest for 10 minutes. Brush tops with egg wash and sprinkle tops with sesame seeds. Bake for 10 to 15 minutes, or until golden brown, rotating pans during baking. Transfer to cooling rack to cool completely. Preheat grill to medium-high heat. Divide the sirloin onto 12 or 6 portions. Shape them into burgers about 3/4 inch thick. Season both sides liberally with steak seasoning. Cook for 3-4 minutes per side (depending on what temperature you like them at). Top each patty with a slice or two of cheese. Cover grill for a minute to melt cheese. 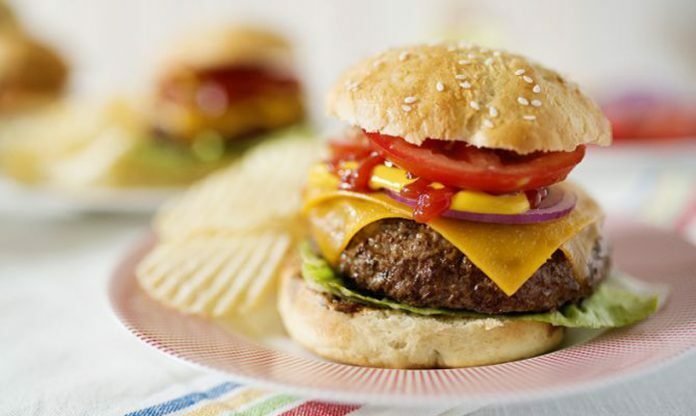 Add patties to burger buns and dress with lettuce, tomato, onion, ketchup and mustard.